There’s no better way to recharge and catch up with friends on a late Sunday morning than over brunch. Postino Wine Cafe doesn’t disappoint. The menu has french toast, granola and other delicious options, but my favorite was the farm scramble. It was light and yet I felt satisfied. Perfect for after a morning yoga class. 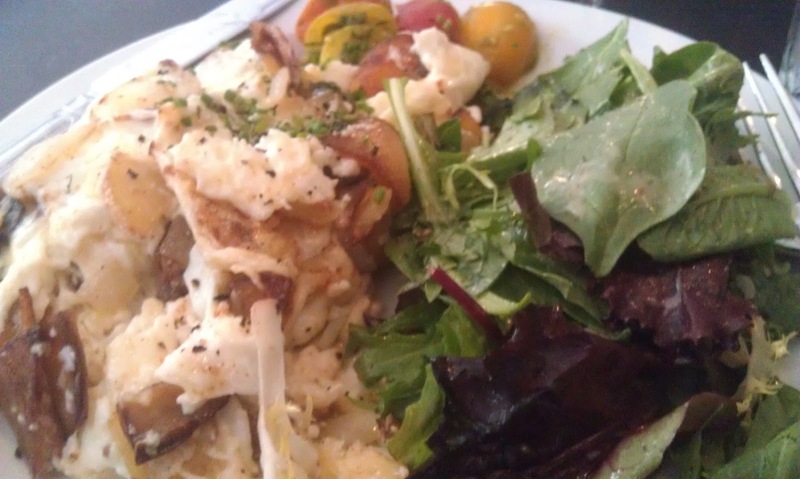 The farm scramble is roasted Yukon Gold potatoes scrambled with fresh eggs, herbs, onions, gruyere and white Cheddar. It is served with mixed greens and tomato salad. I ordered mine with egg whites. 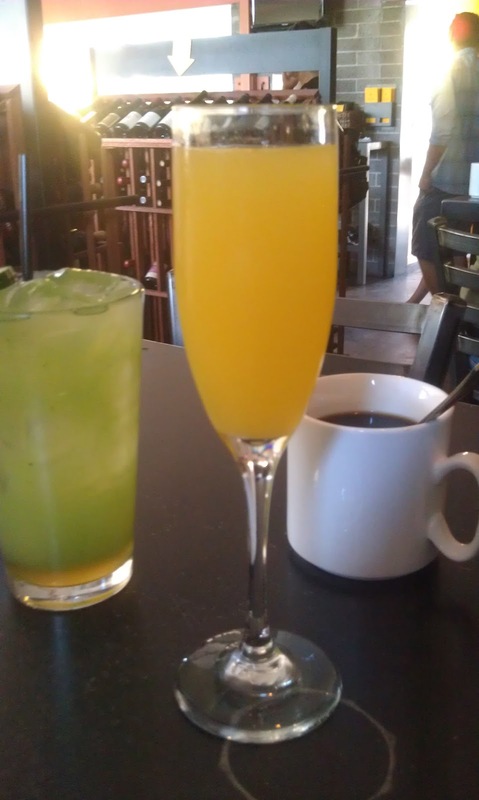 I paired my Postino brunch with a mimosa, but you can’t go wrong with cucumber honey lemonade or a coffee. If you happen to be there on a Monday or Tuesday evening, you’ll notice it’s packed to the gills. The reason for that is Postino’s $20 special: a house bottle of wine and bruschetta. I shared this with a friend as we updated each other on our lives.